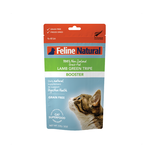 Why should you buy Feline Natural cat food? 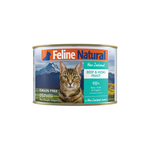 Feline Natural is the feline version of K9 Natural, a New Zealand pet food company dedicated to producing pet food which is natural and high quality. 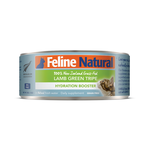 As a brand, they believe the best food contains high quality blends from nature with locally sourced New Zealand ingredients. They support sustainable and free range farming practices, sourcing meat from grass-fed animals and poultry from cage-free environments. Feline Natural wet food is 100% natural and all production methods are at the highest standards. Safety is a top priority, and all diets meet AAFCO feeding requirements. 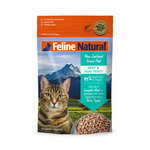 Feline Natural is complete balanced and provides nourishment for your cat's skin, digestive system, joints, immune system, nervous system, and muscle maintenance. With a complete list of vitamins, minerals, and nutrients, this top quality natural food will provide everything your cat needs to thrive. Learn more about natural cat food.